Is your website a primary source of new patients? Do you know how well your website ranks in Google search? With this chiropractic marketing system, we efficiently use your website to bring you paying customers. Premier Practice was setup to help chiropractors just like you to better serve the local community while leaving your marketing in our capable hands. This strategy is a medium to long-term investment option. Results build over time. 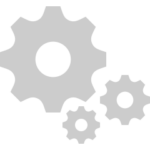 We’ll work hard to maximise you investment and aim to create a positive ROI scenario. This Chiropractic Marketing System combines the following: Google AdWords, Search Engine Optimisation (SEO), backlink building, content marketing, social media sharing and your patient email newsletter, as detailed below. We’ll run a small Google AdWords campaign, using only proven, targeted keywords that connect new patients to your clinic. You pay Google for the ad spend. We’ll optimise your website for local search keywords and aim to increase the volume of both organic website traffic and new patient enquiries. You’ll benefit from our industry contacts and influencer outreach strategies. We’ll craft high quality chiropractic and health articles, conduct keyword research and publish this content to your website blog. This content helps to increase website traffic. They can also be shared with your existing patients via your social media channels and newsletter. You current patients will receive a monthly email newsletter, keeping them engaged with chiropractic and updated on the happenings in your clinic. We’ll also setup automated welcome emails, sent to all new patients. This chiropractic marketing system is good for smaller clinics looking to grow, for websites that don’t rank well in Google search and for those chiropractors who haven’t had much success with online marketing before. The results of this system are dependent on a number of factors, including your retention rates, size of your suburb/catchment and the number of other chiropractors in your area. Service: Our complete chiropractic service offering. We efficiently use your website to bring you paying customers. 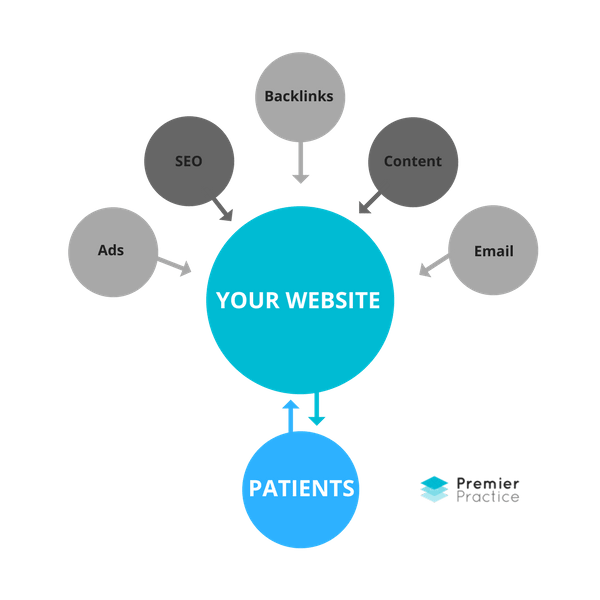 You’ll benefit from this system through our combined use of SEO, blog writing, social media, monthly patient email, Google AdWords and other tactics. This is our most popular service. Results: This system aims brings new patients to your clinic from multiple sources, including organic traffic and Google AdWords. All of your key performance indicators aim to increase over time, delivering measurable value to you. This is a medium to long-term growth strategy. Results take time to build and this strategy needs to run for at least 6 months. The goal is to establish a positive return on investment scenario after which the campaign continues to run in order to maximise profit. Note: Past performance is not an indication of future performance. “Marshall does all my social media marketing (Facebook, monthly email-newsletter, Google Ad campaign and website blogging, SEO) total package.